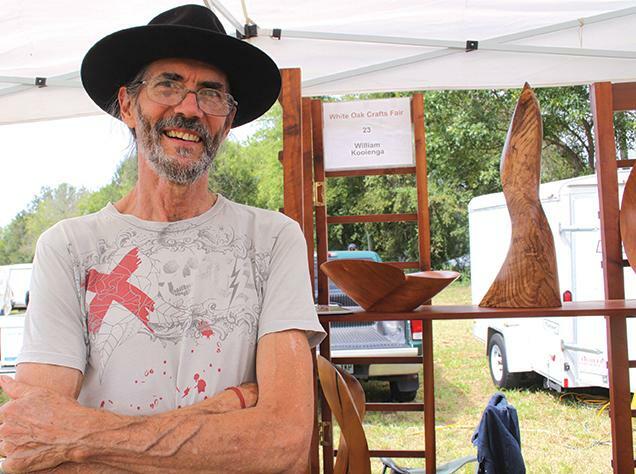 MIKE WEST photos Woodcarver William Kooienga of Smithville won blue ribbon honors at the White Oak Craft Festival held along Stones River at the Arts Center of Cannon County. Traditional craft skills were highlighted at the annual White Oak Craft Festival along Stones River in Woodbury. "White Oak is a community event, a 25 year tradition. It speaks of our history and gives us a glimpse of our future. I believe we are heading in the right direction," said Neal Appelbaum, executive director of the Arts Center of Cannon County, which sponsors the event. A key part of the community's history are traditional white oak baskets, an art that seems to be slipping away. Thomas Chair Shop and Patrick Cecil who make traditional rocking chairs were also on hand with chairs and tables of all sizes and styles. Sisters Betty Tanner and Dorothy Hobbs were on hand demonstrating white oak basket weaving. Both are fifth generation weavers hailing from Short Mountain area. Their mother and father were Grover and Viella Estes. "We just are trying to keep the art alive and don't let it die," Betty said. Part of the problem is due to a scarcity of white oak trees and many of them are rotten in the middle, she said. "We mostly find them in the great deep of the hollers," Dorothy explained. But the main factor is so few people make the baskets anymore. They were once a necessity for survival. Many local families turned to making white oak baskets and chairs as a means of survival during the Depression. They traded them for lamp oil, sugar, coffee, cloth, thread and other things they couldn't grow or hunt. The stores hauled the baskets and chairs to major cities like Detroit, Miami and New York, and peddled them on the streets. In the 1960s there was a resurgence of interest in those traditional crafts with Ida Pearl Davis emerging as the most famous of the basket weavers. "She was blind, but still made the most beautiful baskets," Dorothy said. This year's craft fair attracted a record number of attendees as well as artists. "The craft fair is one of many reasons for folks to visit Cannon County. We work hard to ensure that both craft vendors and visitors have a splendid experience," Appelbaum said. Word-of-mouth attracts the most visitors, he continued. 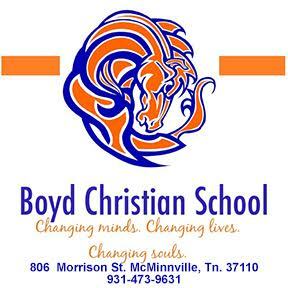 "The Arts Center invests time and funds in print and social media marketing the event. However, it is word-of-mouth that brings the most people to Cannon County. Treat folks with respect and show them a good time and they will return bringing friends. Person to person advertising," he said. The White Oak Festival added to the reputation of the Arts Center of Cannon County, caused Woodbury to be the only town in Tennessee selected by John Villani in his book, "The 100 Best Small Arts Town in America."